The Cybook Odyssey is just hitting the market in Europe, but no reviews have been posted. So Bookeen posted a few demo videos this morning, and 2 of them just blew me away. First up is a demo of the GUI. The Odyssey is so fast that Bookeen actually animated the menu system. 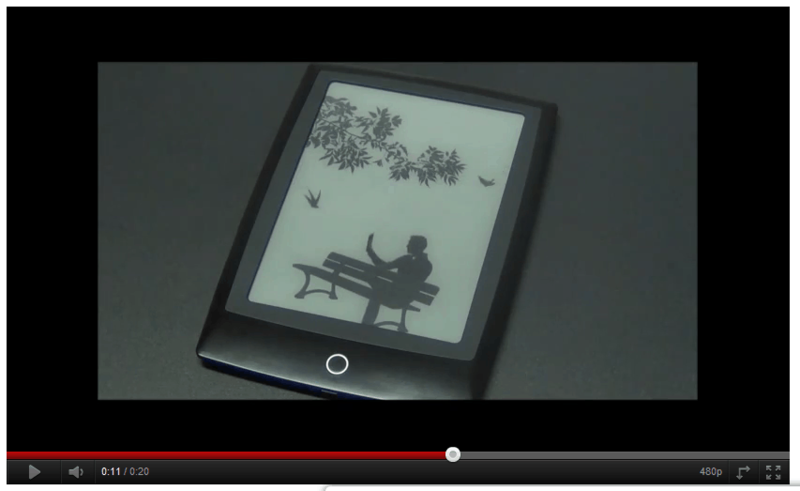 That's a first for E-ink screens. And then there's the boot animation. It's so fast and smooth that any jerkyness you see is more likely to be caused by playback issues. The first video (the one supposedly showing PDF usage) seems especially interesting. I’d really lime to see some more tests, namely with larger A4 PDF files. With this kind of display speed this finally could be a device taking us closer to reading bigger pdf pages on a small screen (some people still have to do that …). Really does someone need animated menus on a B&W reader? Furthermore, seems to me that the processor is slower than the display. I need a cheap, solid ereader, with a amazon-like warranty on the display. I broke the display of my kindle and they changed me the ereader for free. If I’ve bought a bookeen I shoud have paid 100 euros or more to repair the ereader. Hi, thanks. Would like to know if the reader handle kindle cloudreader at all? If yes, does it do it well? Also, can it handle library books downloaded directly from lib overdrive portal?thanks!